SANFORD, NC – October 24, 2018 – At its regularly scheduled meeting on October 16, the Sanford City Council awarded approximately $12 million in construction contracts to extend the City of Sanford’s wastewater collection system to the Moncure Megasite.  Located near the intersection of Old U.S. 1 and U.S. 1, the 2,500-acre North Carolina Certified Site is a cooperative endeavor between the City of Sanford and Chatham County. 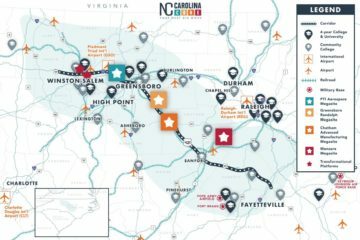 It is expected to serve as an economic development catalyst that will benefit Chatham, Harnett, Lee, and Wake counties, the central Carolina region, and the state as a whole. “Working together with the City of Sanford to fully develop the Moncure Megasite builds on both of our strengths,” says Diana Hales, chair of the Chatham County Board of Commissioners. Connecting the site to the Big Buffalo Wastewater Treatment is a fundamental component of making it competitive across the state and nation, she says. The megasite has also benefited from a $4 million Golden LEAF Foundation grant awarded to the City of Sanford to support sewer infrastructure. The grant was part of the foundation’s Major Site Development Initiative, which aims to make North Carolina megasites more competitive by investing in the infrastructure necessary to appeal to original equipment manufacturers (OEMs). “With this investment in sewer, the Moncure Megasite will be the most ready and quickest to the market of all sites in the Southeastern United States and the Carolina Core,” asserts Sanford Mayor Chet Mann. “Speed to market is crucial for companies in the 21st century global economy. Having a site that can meet their production timetable without risk to their schedule is essential to landing an OEM,” he says. The megasite is “the largest potential employment property in the state,” notes James Crawford, former chair of the Chatham County Board of Commissioners. While increased employment will benefit surrounding counties, it also accomplishes Governor Cooper’s and the NC General Assembly’s mutual goals of job creation and tax base expansion. “An OEM locating at the Moncure Megasite would be a game changer for our community,” Mann points out. “We believe this megasite will bring hundreds if not thousands of jobs. It will provide endless opportunities for growth and advancement to our entire region,” he says. Construction is set to begin this year. 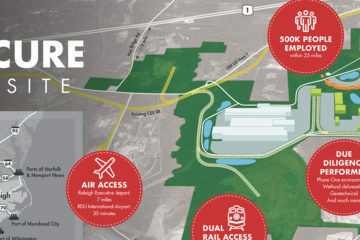 The megasite is anticipated to be online and ready for major manufacturers looking to build a state-of-the-art production facility by the end of 2019. View the Moncure Megasite’s amenities at www.moncuremegasite.com.